It's been a while since we've seen a new Mega Jackpot slot come out and we couldn't be more excited to announce that IGT's Mega Jackpots: Isle O' Plenty is being launched in February. While the exact day still remains unclear, we are sure that you could wait as long as is necessary to play this exciting slot that doesn't just entertain with it's basic gameplay, but its lucrative jackpot format can make you rich in a split second. Talk about starting off the new year with a bang, IGT! Churning out slots that go on to become all-time favourites is what IGT basically does. We don't know what sort of talent they've headhunted or what market analysts they've hired, but this software developer is always head and shoulders above the rest when it comes to creating mobile gaming titles that take off instantly and never leave the radar. For example, take Siberian Storm, Cleopatra, Da Vinci Diamonds, and even IGT's new branded slots such as Family Guy. Actually, all of IGTs offerings are quite memorable, mostly for the right reasons, so we expect nothing else from Mega Jackpots: Isle O' Plenty when it comes out in February. 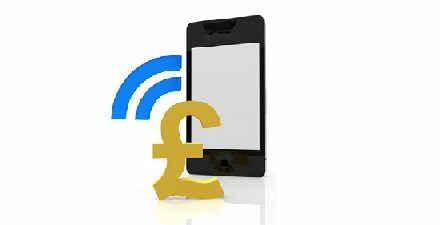 After long years of hating and mocking it, we've come to accept the fact that mobile slots and Irish themes go together like bread and butter. 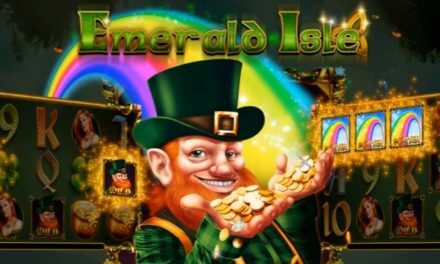 The Luck of the Irish is a thing and we suppose it doesn't take much imagination by software developers to simply pick a theme that is already associated with gambling and make it into a mobile slot. That's what probably happened with Mega Jackpots: Isle O' Plenty too. Four Mega Jackpot symbols on reel 3 will result in a Progressive Mega Jackpot pay out! And when it becomes available at online casinos, Isle O' Plenty certainly won't be the first or the last jackpot that IGT has produced. You might have seen stories in the past of IGT slots making millionaires and that's because the IGT jackpots are some of the world's largest online slot jackpots. We know – impressive! So, Mega Jackpots: Isle O' Plenty will be in good company with some of the other great IGT jackpots, such as Mega Jackpots: Cluedo, Mega Jackpots: Cleopatra and Mega Jackpots: Siberian Storm. All of those games are just like the regular games, but with massive progressive jackpot potential. Thus far, 13 jackpots have been paid out by IGT at various casinos, ranging from half a million to two and a half million euros. In fact, the largest ever IGT jackpot paid out was €2,578,737 paid out in September, 2013 and on average, IGT jackpots are worth €1,146,035. When a jackpot is won, the sum is paid out in 20 annual installments – excellent to have financial security for the coming years. 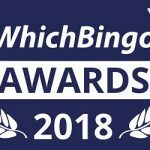 The winner can also choose to get a smaller, once-off lump sum and spend, spend, spend!